In 2017, the record for the number of foreign tourists to visit Portugal was broken, with 12.7 million holidaymakers bustling through those cobbled streets. We’re sure that UK citizens made up a large fraction of that, and that our motorhome owners and users were a big chunk of that as well! We’ve compiled for you the 7 best campsites in Portugal to help you out, giving you one thing less to prepare for your Portugal camping trip. Read further to find out exactly where you should be pitching your tent or turning off that engine for the night! Situated 1.5km from the picturesque fishing village and city center of Albufeira, deep in the heart of the Algarve, this campsite features a variety of facilities. Perfect for families, Albufeira Camping contains 3 swimming pools, restaurants and bars, a supermarket, spa, laundry facilities and even a playground! It offers the possibility to rent bikes as well as a bar in which to watch the World Cup. Prices range depending on the season, as well as whether you intend to set up an awning or gazebo, but are all within €4-€9.50 for a night. The centre can be easily reached either by bus or a short stroll. Once there, enjoy the vast retail opportunities and bustling nightlife. Or if you’d prefer to spend the day on the water, you can go diving, dolphin watching or on a boat trip around the coves. This luxury campsite may be the perfect manner in which to end your trip, and Albufeira offers endless entertainment for all ages and lifestyles. If you’re searching for a campsite that can keep you entertained into the evening, look no further than Yelloh! Camping in Turiscampo. This campsite is 2km from the beautiful beaches of the Algarve as well as a short distance from the International Airport. If you choose not to visit the beach one day, you can instead dive into their swimming paradise, complete with a kiddie pool, jacuzzi and indoor section. Their dance and entertainment evenings will keep you busy until the early hours. Children up to 7 years are free, and the price for two adults varies between €23 and €48 depending on the time of year. This campsite is certainly pricier than others, but that is to be expected given the proximity to Lagos and the general inflated prices of this touristic region. Orbitur Costa de Caparica is located in a spa town, only 20km away from Lisbon. 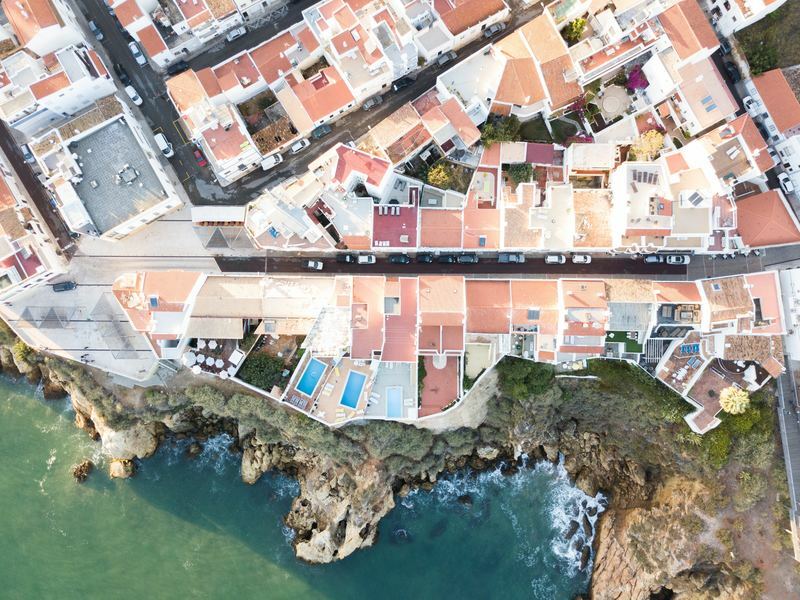 It’s close proximity to the Portuguese capital is ideal for any motorhome travellers who wish to explore the capital whilst also continuing the camping and free lifestyle. The site allows pets and features a bar, restaurant, minimarket and laundrette. But the most impressive feature of this campsite is that it is only 200m from the beach, providing direct beach access! The Orbitur campsite aims to increase environmental awareness and boost ecotourism development. Some examples of experiences they offer are tours of the local flora and fauna, bird-watching, hiking and mountain biking. Another campsite offered by Orbitur is Canidelo, located along the Atlantic beach in Vila Nova de Gaia. The campsite is only 10 minutes away from the UNESCO World Heritage Site of the Historic City Center of Porto. It features a bar, restaurant and swimming pool with an incredible view over the Atlantic Ocean. This is definitely a campsite that will please the younger members of the family, given the numerous activities and watersports offered, from kayaking to a climbing wall. It will help you convince your kids that a Portugal camping trip can be super fun! Or if your travelling without any youngsters, you can explore the famous Vila Nova de Gaia cellars, locally known as “caves”, where their world-famous port wine is stored and aged. A list of the best campsites in Portugal would not be complete without Camping Serrão, situated in the Costa Vincentina. 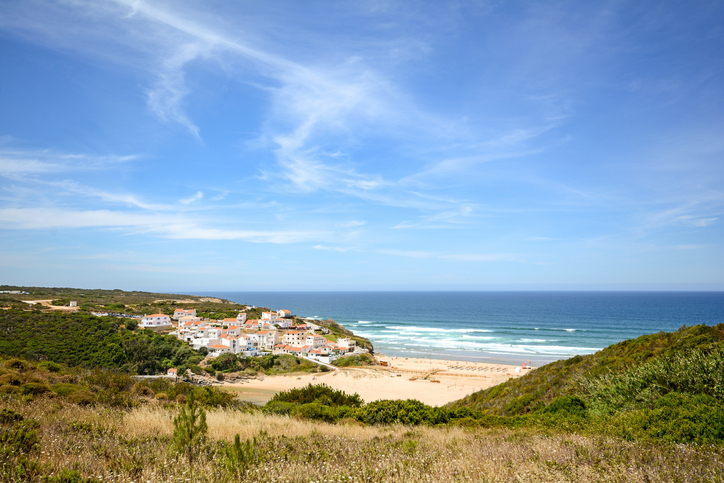 The beautiful beaches of Amoreira and Arrifana are walking distance, and the campsite itself is within the protected landscape area of Lagos. This ensures you both a calm and relaxing atmosphere, whilst leaving possibility for discovery and adventure. Relish the opportunity to explore Lagos, including the Church of Saint Anthony and Lagos Zoo. Lagos is renowned as a wine producing region, particularly its moscatel wine and an alcoholic spirit made of berries. The cost per night for campervans is dependent on the size, but is €4.90-€7 for low season and €7-€9 for high season. The site offers the usual amenities of wash facilities, supermarket and more, as well as a massage parlour, sports fields and auto service! 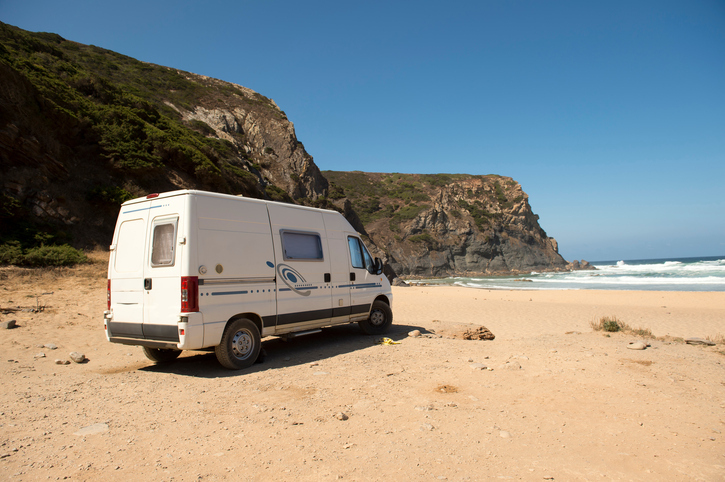 It seems like both you, and your motorhome, will be in good hands at Camping Serrão. 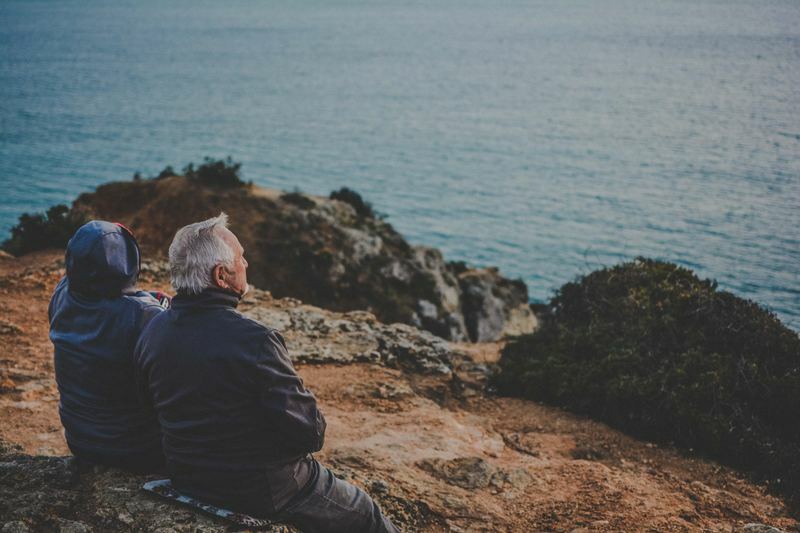 Perhaps you’re looking for something a little more rustic, an opportunity to get back in touch with nature, and so we’ve also considered some wild camping areas. Luckily wild camping in Portugal is a booming field, with many more spots available than in other European countries. You can camp in Praia Boca Do Rio, the bay of which is still quite undiscovered and empty. This option requires you to pack enough food and drink, as there are no facilities nearby. A similar site is Praia de Monte Clérigo, within the Municipality of Aljezur in the Algarve. This beach is also untouched by tourism, and features extensive marine life in the pools and gullies between the rocks, including starfish, crabs and even octopus within the rock crevices at the tide line. This sea is a popular spot for surfing and bodyboarding, and the tide leaves a shallow lagoon for children and adults of all ages to enjoy. Whilst there are dozens of more campsites worth mentioning, at some point we must stop, and so these are our top picks for the best campsites in Portugal. We feel these different options will allow you to experience Portugal camping whilst also remaining in close proximity to the cultural hubs of Portugal. Now all you need is your motorhome, which you can either dust off from the garage or find through a simple search on our site, happy camping!